View cart “22 Ft Tall Vertical Rush with the 16 Ft Tall Rock Climb Slide” has been added to your cart. This game involves getting into a giant nine foot Air filled Zorb Balland racing your opponent down the course and hopefully beating your opponent to the criss cross in the track where your hamster balls may collide. This is a fun game for all ages. Great for a birthday party, festival or a team building activity. 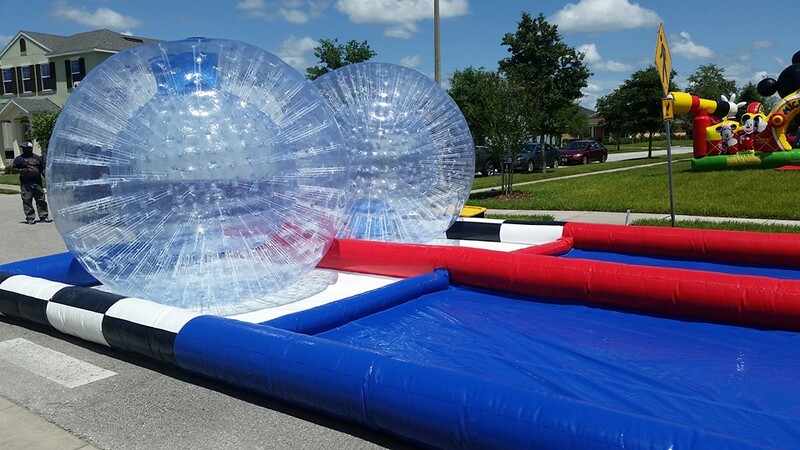 This game involves getting into a hamster ball and racing your opponent down the course and hopefully beating your opponent to the criss cross in the track where your hamster balls may collide. This is a fun game for all ages. Great for fun or a team building activity.